Make your garden sparkle with a touch of magic with these firefly jars. Each of the 10 real glass jars contain wire which when lit create the illusion of fireflies. 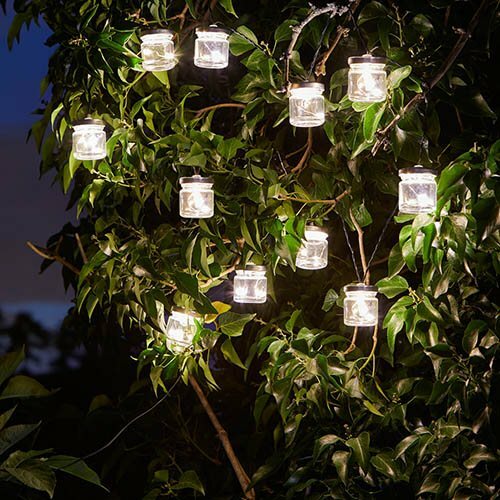 When placed, the lights extend by 3.8m so with the 10 jars there is plenty of scope for the lights to make a visble impression whilst you are relaxing in your garden. Also perfect for weddings and garden parties.